Nanomaterials are finding applications in the fields of food, agriculture, pharmaceuticals, catalytic industry, electronics and cosmetics. The use of nanomaterials in industries are widely appreciated due to their unique properties. Nonetheless, beside benefits, some nanomaterials are toxic. Nanomaterial Toxicity is often due to particular toxicokinetic and toxicodynamic properties, catalytic functions and inflammatory potential. Diverse genotoxic effects have been identified using different types of genotoxicity tests. 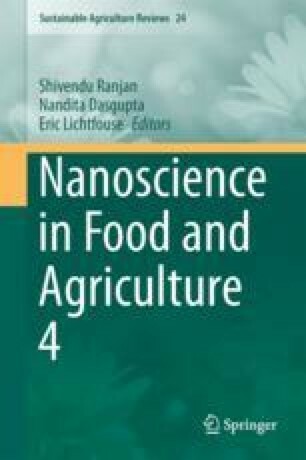 Here we review nanomaterials in food and pharmaceutical industries. We then discuss the genotoxicity of nanomaterials in food and health products. Toxic effects can be modified by functionalization, net particle reactivity, agglomeration and the functional environment. This work was supported by the financial assistance in the form of research fund and research facilities provided by VIT University, India. RKV, RL, Amiti, BR are acknowledging VIT University, India, for providing research associateship.